Remember a while ago when the ex-Doctors were spotted 'protesting' outside Television Centre? 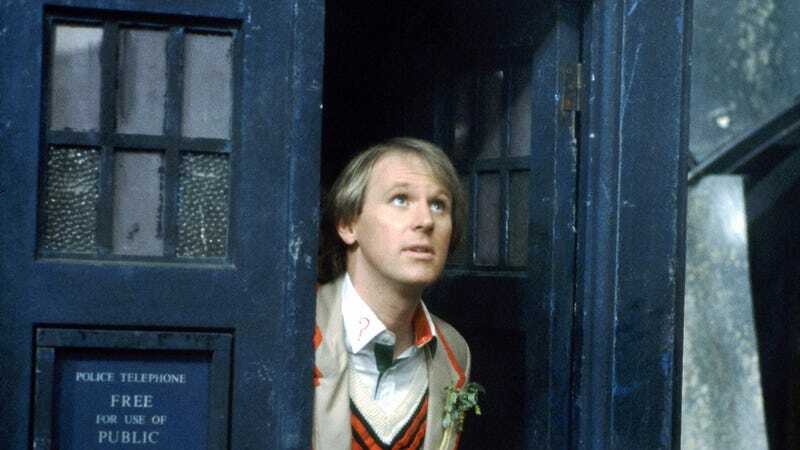 Turns out they were up to something after all: Peter Davison has penned a 15 minute comedy skit starring the Classic Doctors and some special guests, which will air on the BBC Red Button service Saturday night. Miss the classic Doctors? They're back in this celebratory special written and directed by Peter Davison. So whilst we don't know exactly who's in it, expect a veritable smorgasbord of Doctor Who stars of years gone by to show up!